It's officially fall! But that doesn't mean you have to say goodbye to healthy eating and start tucking into greasy dishes to find comfort. We've put together a list of our top 10 fall salads that will deliver a healthy meal packed with flavour and goodness that won't leave you feeling guilty. 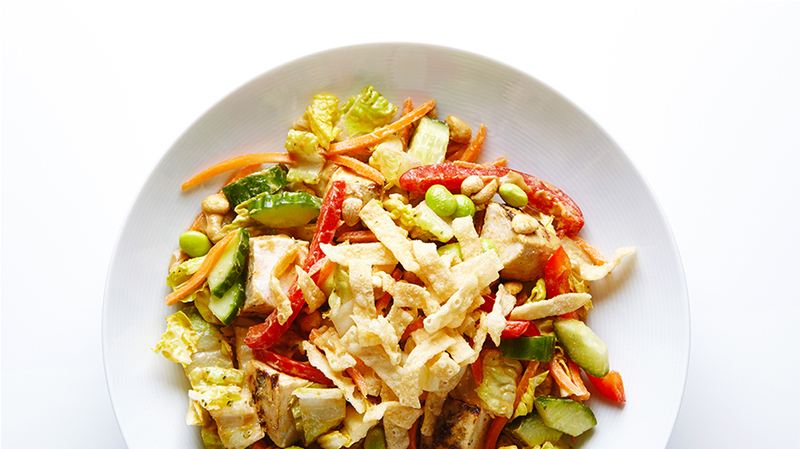 And if you're feeling nutty, this Nutty Asian Chicken Salad is the whole package. It's a meal-in-a-bowl that serves up grilled honey-lime chicken in a bowl full of healthy veggies and protein-packed edamame, tossed with a delicious creamy peanut butter dressing. But that's not all we have in store for you. 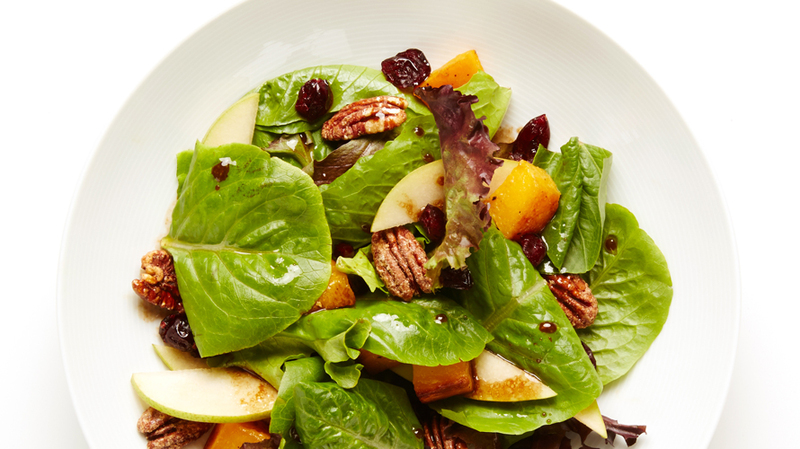 Read on to get the recipe for all 10 of our favourite fall salads and enjoy! Farro is a versatile and hearty whole grain that has been around for a long time. 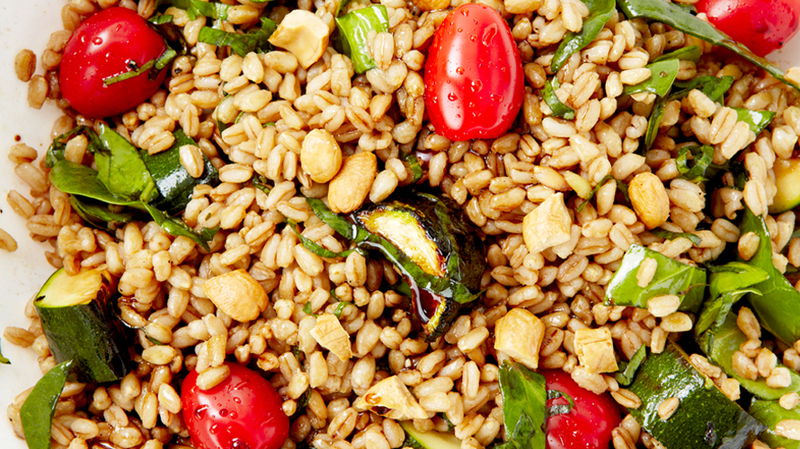 With a nutty flavour and soft-yet-crunchy texture, farro delivers fiber, nutrients and protein, and is especially delicious when combined with juicy tomatoes, leafy spinach and grilled zucchini, tossed in a zesty balsamic dressing. 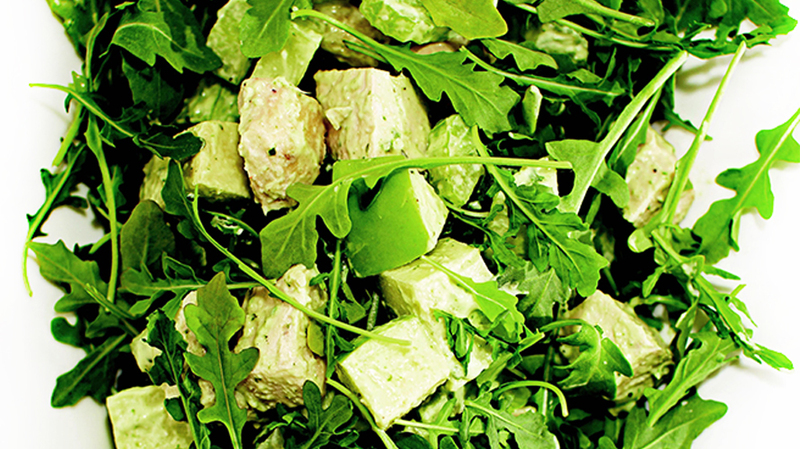 This is one salad that will leave you supremely satisfied! Golden-baked Parmesan chicken, peppery arugula and crunchy apples are tossed together in a creamy basil dressing, resulting in this delicious and sophisticated meal-worthy salad. Looking for the champion in the Super Bowl of superfoods? 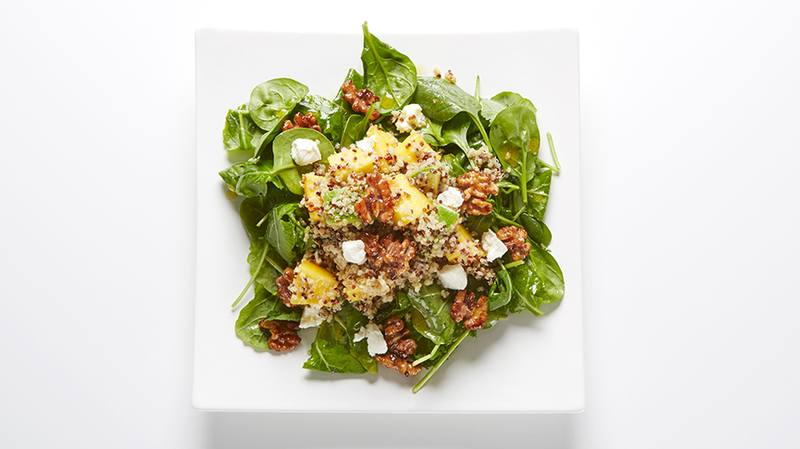 This kale, spinach and quinoa meal-in-a-bowl is a winner, a green bowl full of super-nutritious and delicious stuff (including mango and avocado), tossed in a zesty lemon shallot dressing and topped with spiced walnuts and creamy goat cheese. Get cooking and give new meaning to power lunch! This Nutty Asian Chicken Salad is the whole package, a scrumptious meal chock full of perfect bites. After being grilled to juicy goodness, honey-lime chicken is added to a bowl full of healthy veggies (napa cabbage, carrots, cucumber, peppers) and protein (edamame) and then tossed with a lip-smackingly creamy peanut butter dressing. As if that's not enough, this nuts 'n honey salad is topped with crunchy wonton strips and roasted peanuts. Now that's a bowl! We love Middle Eastern flavours, so it should come as no surprise that Tabbouleh salad is among our favourites. The classic combination of bulgur wheat, chickpeas, fresh herbs (parsley and mint! 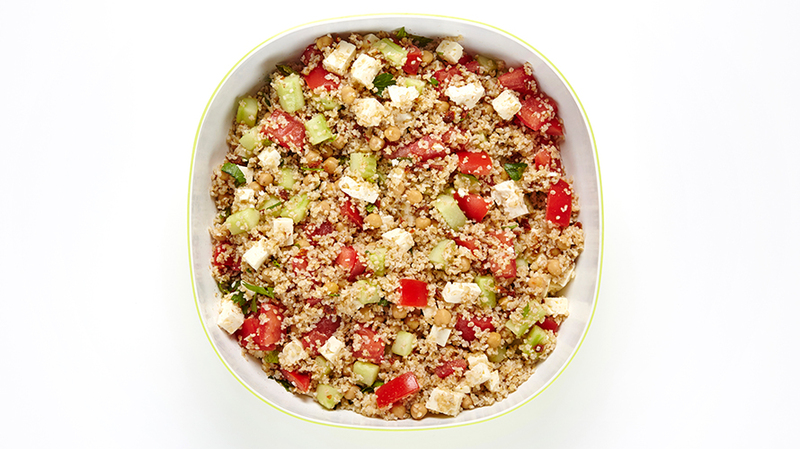 ), tomatoes and cucumbers is upgraded not only with a lemony kick, but also tangy feta cheese and flavour-packed sun-dried tomatoes. 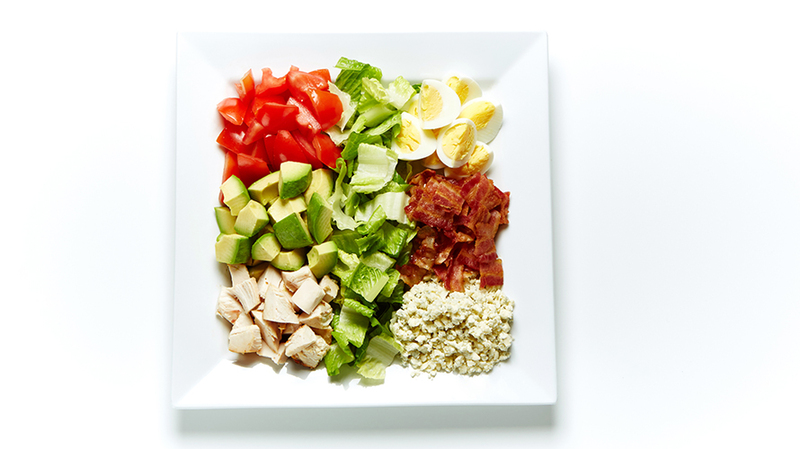 Think a salad can't be satisfying? Think again. 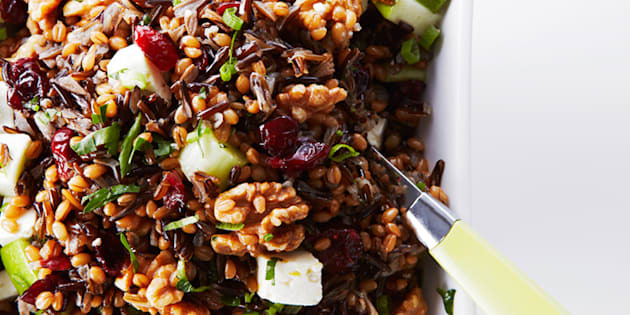 This Wheat Berry and Wild Rice Salad recipe will satisfy any appetite. 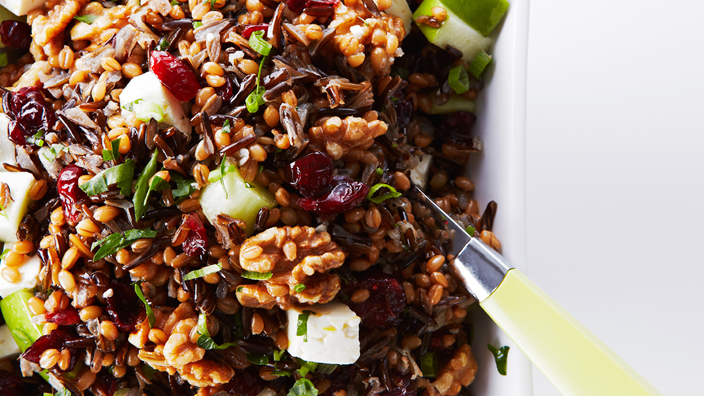 Healthy, slightly nutty and chewy wheat berries are combined with wild rice, crunchy apples, tart cranberries, creamy feta cheese and toasted walnuts, all tossed in a citrus vinaigrette. 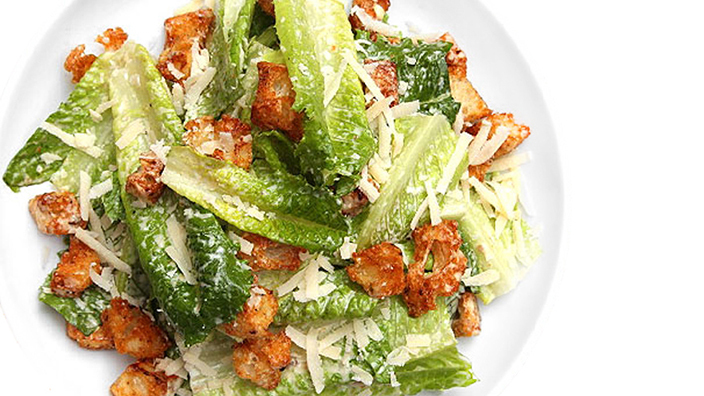 Caesar salad is a staple on restaurant menus across the country, but we've yet to find one as perfectly blended as this one — crisp romaine is tossed with creamy dressing, crunchy croutons and premium Parmesan. All hail Caesar! 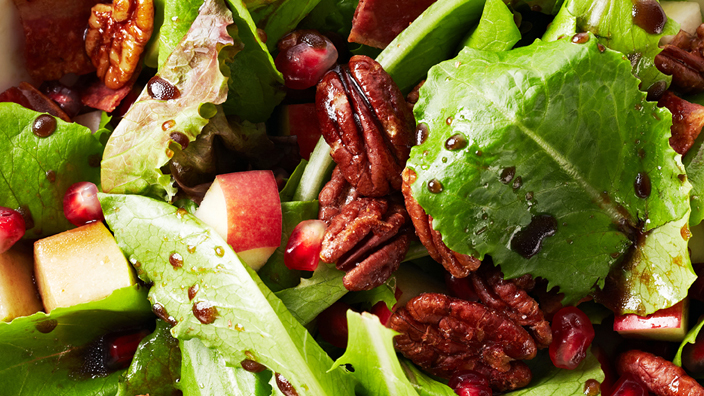 Really, the title of the lip-smacking recipe should read: Incredible Salad of Crisp Romaine, Tart Pom Seeds, Crunchy Apples and Sweet Pears, all tossed in a Maple Balsamic Dressing and topped with Homemade Bacon-Roasted Pecans. A mouthful, but a delicious one at that.